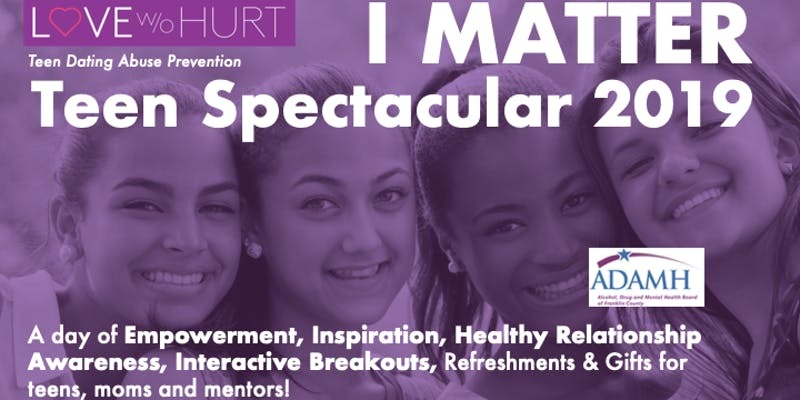 I MATTER 2019 Teen Spectacular! Home → Tribe_events → I MATTER 2019 Teen Spectacular! Calling all teen girls, moms and mentors! The non-profit, Love Without Hurt, brings meaningful speakers and presenters to educate teens about healthy relationships and self respect. With Dr. Lisa Hinkelman, as our Keynote Speaker, desserts, break out workshops, and gift bags, the day promises to positively impact all who attend. After you register for your ticket, please check ONE workshop choice. We will try to accommodate your choices, but once a workshop is filled, you will need to select one that still has space.